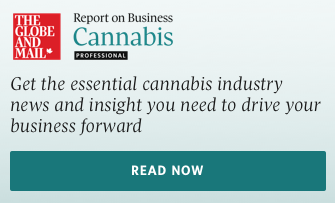 CEO/founder of Reformulary Group, a health care technology company focused on helping Canadians make smart drug medical cannabis choices; formerly assistant deputy minister of Health in Ontario and executive officer of Ontario Public Drug Programs. The gender wage gap is something that’s still being debated around the world and in our own backyard. Last month, the federal government introduced the Pay Equity Act, which gives employers with at least 10 employees three years to come up with a pay-equity plan. Meanwhile, a report on gender equality in corporate Canada and the U.S. shows the majority of Canadian firms are not tracking the gender pay gap. I’ve got another concept for you. Have you ever heard of the gender investment gap? This is far less documented but of great importance to the Canadian economy. It refers to the disparity between investments made in companies founded by men and those made in companies founded by women. A recent research report from Boston Consulting Group (BCG) finds that when women business owners pitch their ideas to investors for early-stage capital, they receive on average less than half than their male counterparts. The BCG findings show a “clear gender gap in new-business funding.” Of the 350 companies included in the analysis, 258 were founded by men and 92 were founded (or co-founded) by women. The companies founded by men received $2.12-million on average, more than double the average of $955,000 received by companies founded or co-founded by women. The numbers are startling. Even though the statistics referenced above are improving, they are doing so at a slow pace, to the detriment of female entrepreneurs looking to secure VC funding for their businesses. Clearly, the gender investment gap is alive and well. Ironically, the Boston Consulting Group report revealed that for every dollar invested, women-founded startups generated 78 cents, as opposed to 31 cents for startups founded by men. Meanwhile, the Globe reported a staggering gender disparity in Canadian venture-capital firms; only 14 per cent of partners at Canada’s most active venture-capital funds are women. I have always been interested in how business ideas become entrepreneurial ventures and then full-fledged companies. In 1984 at McGill University, I started my first company selling promotional gear. Ten years later I founded a consulting firm in Switzerland (which later moved to Toronto), specializing in health care. After my time in government as assistant deputy minister of health and executive officer of Ontario Public Drug Programs, in 2011 I started Reformulary Group (a MaRS-supported health venture), which has certainly faced many of the challenges in seeking funding that are suggested in the BCG study. Notwithstanding frequent promotional messages by financial organizations about how they are focused on investing in female-founded companies and female entrepreneurs, we have been unable to get the attention of banks, federal business-development funding or venture capital. Rather, this company has been fuelled exclusively by the strong financial support and confidence of a group of angel investors. It’s been seven years since the company was founded, and each day is new experience. Here is some advice for all entrepreneurs, male or female, on how to navigate the sometimes murky waters of seeking funding and steering their companies to success. Picture Steve Jobs in a garage in the mid-'70s – starting a company is no easy feat. In the early stages especially, being resilient is the most important trait of an entrepreneur. Do not give up. Things won’t always go your way, and that’s okay. If you have a good idea, see it through. Your idea may give rise to copycats or become a target for larger organizations to try and squash. Hang tough and stay focused. One wise entrepreneur told me, “If you can’t move the engine, find a way around it.” Obstacles will arise, but resilience, grit, and some creative thinking will help you overcome them. The path for an entrepreneur is never direct. You can start with the best-laid plans, spend months in the preparatory stages, work through budgets and ideas, receive funding and think through marketing strategies, only to have an industry shift and everything change. The constant in taking any idea from spark to reality is that you will be forced to adapt based on opportunities that present themselves and environments that may be entirely out of your control. Be nimble enough to adapt, whether that means seeing an opportunity to shift in another direction or facing an unforeseen challenge that disrupts your original plans. Asking questions is a must, but when you have the attention of someone important – whether it’s an industry leader or a potential adviser, investor, or customer – you must ask great questions. Do your research, be prepared and listen more than you speak. Great questions garner great answers. Putting deep thought into your questions will help your credibility, provide you with valuable insights, and potentially lead to new relationships that result in industry connections, advisers or something more. Whether your entrepreneurial journey begins in university or beyond, you need a network you can lean on. In every job you have, make connections and hang onto them. The stronger your relationships are, the easier it is to reach out when you are unsure of something – and vice versa. Strong professional networks are beneficial to all entrepreneurs at any stage of their journey. Don’t be afraid to reach out, and I can guarantee the goodwill will be reciprocated.